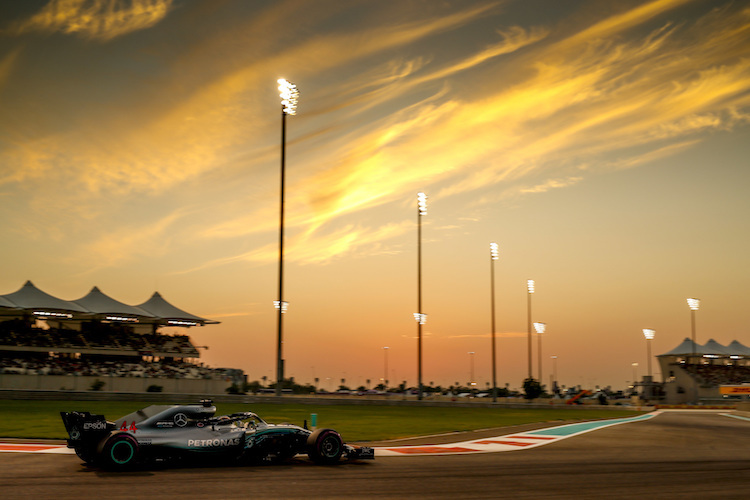 The final race of the 2019 season returns to Yas Marina for the Etihad Airways sponsored Abu Dhabi Formula 1 Grand Prix. This race increases in popularity every year due to it’s spectacular location and entertainment. The 9th Formula 1 race at the Yas Marina is expected to be the biggest yet since selling out last year. Tickets are available at discounted prices until Friday 31st May. Prices for this period are up to 30% cheaper than standard prices. General admission tickets at the Yas Marina Circuit have been added for 2019 with prices from £173 for a 3 day ticket. Tickets start at £321 for a full weekend ticket (Fri, Sat & Sun) in the South Grandstand located at the braking zone at the end of the high speed straight. Prices start at £305 for a Saturday/Sunday ticket. West Grandstand is located at the Chicane. Prices start at £321 for a 3 day ticket. Marina Grandstand is located along the high speed straight from turn 8 chicane. The cars reach over 180 mph on this section of the circuit. This stand also includes views of Turns 11 and 14 and the cars drive under the Yas Viceroy Hotel. North Grandstand is located at the hairpin at Turn 7. Prices start at £305 for 2 days or £321 for a three day ticket. Main Grandstand is located on the main straight, facing the starting grid and the pit lane. Prices start at £428 for a 3 day ticket. Please note – Prices quoted are discounted until end of Tuesday, 31st May 2019. As you can imagine the Abu Dhabi has a wide range of VIP Hospitality packages. Packages range from a Grandstand seat and access to a private lounge to access to the Formula One Paddock Club. There are 3 options available from £TBA. All options are offered for 3 days (Friday to Sunday). The options include.. This package offers reserved seating from the comfort of an outside balcony on Level 2, an elevated section of the Main Grandstand. Club Access – You can upgrade your 3-day entry ticket in Main, South or West Grandstands to gain Club access. This will include a seat in the grandstand, and access to a separate air-conditioned Club area. The Club area will be located outside of the grandstand, and you will be able to purchase food and beverages here. Please note that the Club area does not offer race viewing. Pit Walk – A free pit walk will be held on Thursday 22nd November for all three-day ticket holders. Child Tickets – Child tickets are not offered by this event and so an adult ticket must be purchased. Yas Marina Circuit advise that children aged 7 years or under should not attend the event for safety reasons. Disabled Tickets – Yas Marina Circuit offers disabled seating platforms in various grandstands on the circuit. Please contact us for more information. Question – What TV channel is formula 1 oo? Answer – In 2019 Sky Sports has exclusive rights to show Formula 1 in the UK. Question – What time does the race start in the UK? Answer – The Abu Dhabi formula 1 grand prix will start at 13:10 UK time. I would like buy tikcet for one day …only 26/11/2017 for the final race . Hi Nikolaki, I’m sorry tickets for Abu Dhabi are not on sale yet. I’ve made a note and will contact you when they become available. i need west grandstand ticket,are they available? Hi Samuel, Yes tickets are available. You can compare prices for the West Stand here..
3 of us are flying in from London for the Abu Dhabi GP and we’re looking to purchase Sunday General Admission tickets to include the concert too please. Are you able to help out at all? Hi Calum, There’s no General Admission tickets at Abu Dhabi. The cheapest tickets are in the Marina Grandstand at £421 for a 3 day ticket which includes a reserved seat in the Marina grandstand, as well as access to the Oasis areas, where you can purchase food and beverages, as well as available merchandise. Your ticket will also include general admission access to the after-race concerts for every day that it is valid.